Shirakawa Dori is one of the most beautiful streets in Kyoto, Japan. It is located in Gion alongside the Shirakawa Canal and is one of the licensed geisha areas of Kyoto. It is off the beaten path and you don't see many tourists in this area. The street is lined on one side with beautiful wooden restaurants, teahouses and shops, and on the other with willow trees, cherry blossoms and Japanese maple trees that have been allowed to grow out. The willows hang gracefully over the Shirakawa Canal. There are about 3 or 4 bridges that intersect the stream. When I visited Shirakawa Dori, it was almost late afternoon. The street looked somewhat deserted. 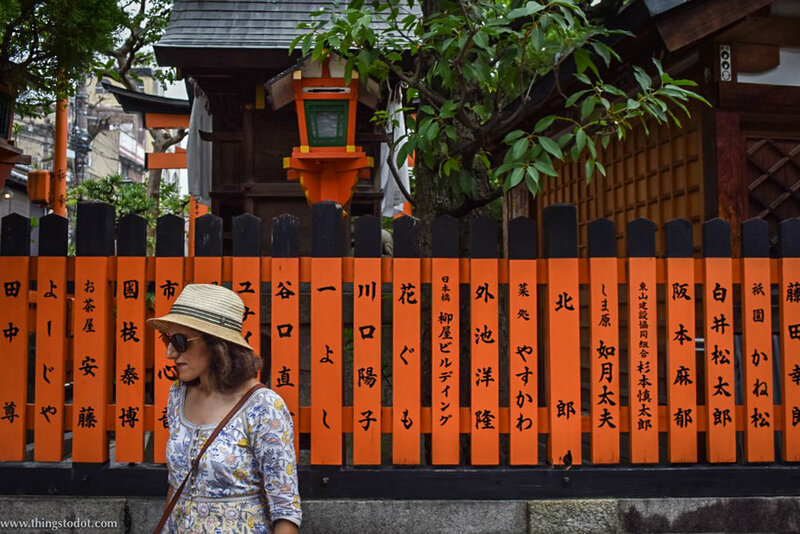 I enjoyed a peaceful walk with my tour guide amid the hanging branches and quaint shops, reminiscent of an old Japan that was still alive in Shirakawa! From Honke Owariya, Kyoto's top soba restaurant where we had stopped earlier for lunch, we took the subway to Sanjo Keihan next to the Kamo River. From there we walked to Shirakawa where we saw the Shinbashi Bridge. After spending about an hour in Shirakawa, we walked to Gion's back alleys and visited a beautiful temple area called Kennin-ji.